Dortmund - While news that Sven Bender and Neven Subotic extended their contracts at Borussia Dortmund earlier this week will have delighted the Yellow-Black faithful, it was more remarkable as a continuation of a recent trend at the club - the enviable ability to keep hold of their key figures. Around this time last year, head coach Jürgen Klopp and sporting director Michael Zorc penned deals to stay at Dortmund until 2016. 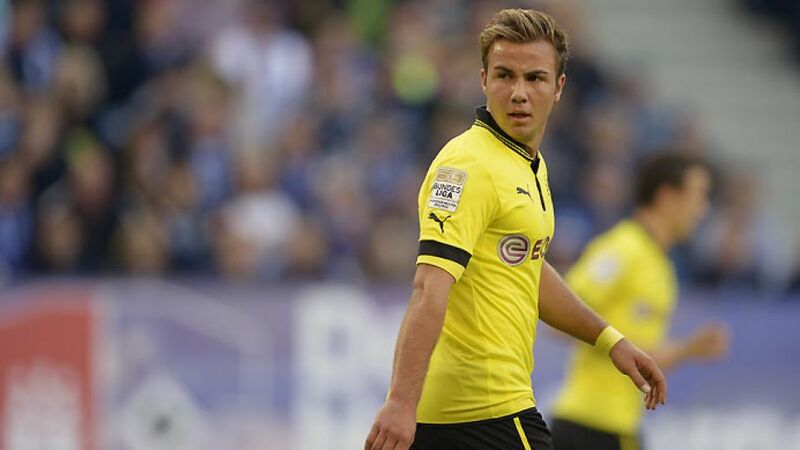 Just weeks later in March, wonderkid Mario Götze signed on until the end of the 2015/16 campaign, while agreements of a similar length were reached with Mats Hummels (in June 2012), Jakub Blaszczykowski (July 2012) and Lukasz Piszczek (October 2012). All of the playing personnel mentioned above are experienced internationals and first-team regulars. Such widespread loyalty is almost unheard of in top-level football. So, apart from the fact that BVB are reigning Bundesliga champions and soaring in the UEFA Champions League, what's the big attraction? The 'Klopp factor' is certainly one of the biggest draws. The charismatic tactician is not only a charming personality, he's also a master motivator and the special relationship he shares with his young charges ensures he constantly gets the best of of them. The 45-year-old's preferred playing style - high pressing, accompanied by one-touch passing and a shoot-on-sight policy - is also the kind of system top players dream of being involved in. There is a real sense that the team enjoy each other's company and have fun on the pitch. Such a carefree attitude stems from the youthful exuberance running through the squad, with the majority of the starting eleven still only in their early 20s. Some, such as Götze and Moritz Leitner, are only just out of their teens. Furthermore, a significant proportion of the first team originates from the surrounding area, with Kevin Großkreutz, Götze, Marco Reus and Hummels all local lads. Dortmund is situated in Germany's industrial heartland, and the quartet have carried the region's traditionally strong work ethic onto the pitch, with the team's tireless running a feature of their play. This unique combination of factors has established a close-knit group of players who feel they are part of something special that has the potential to continue for years to come. It has forged an iron-clad team spirit that has given them the courage to tackle giants such as Real Madrid CF and Manchester City FC and come out on top. In addition, the Bundesliga itself cannot be underestimated. It is the best-attended league in Europe, with an average of 44,293 spectators filling the state-of-the-art stadiums at every game last season. Dortmund's fans follow their club with a passion unrivalled anywhere else and only few teams in the world can match the 80,720 capacity at their Signal Iduna Park, let alone the atmosphere created by their fervent support. It appears that Dortmund's stars are well aware that the grass is greenest right where they are.